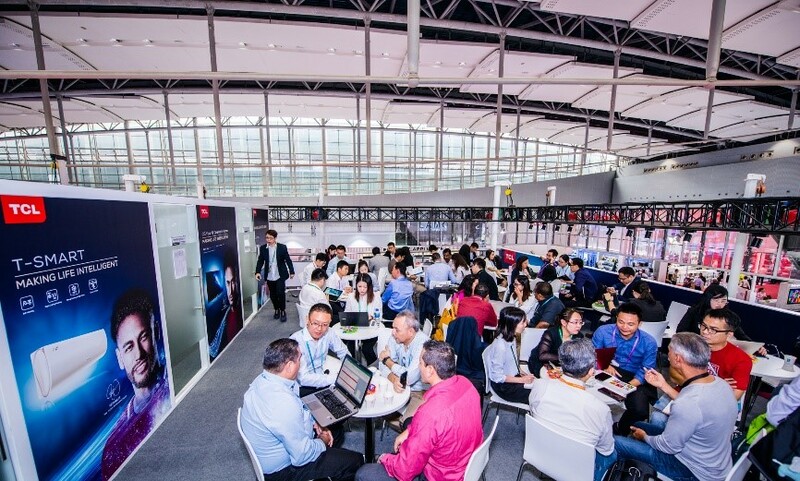 On the 15th Oct., TCL Air Conditioner showed up as scheduled in the 124th Canton Fair, showcased its latest products and technologies at the scene. The flagship product – T-SMART fully illustrates TCL’s definition on what is a good product. It is applied the innovation technologies of “wall-redirection of air flow”, “gentle cold wind”, and “vector precision air supply”. As a result, the airflow comfort satisfaction rate has been increased from 60% to 92%. TCL ERA series air conditioner is one of the new arrivals for overseas market. Its capacities cover from 7K to 36K, in particular, its 1250mm model can provide air supply as long as 25m. 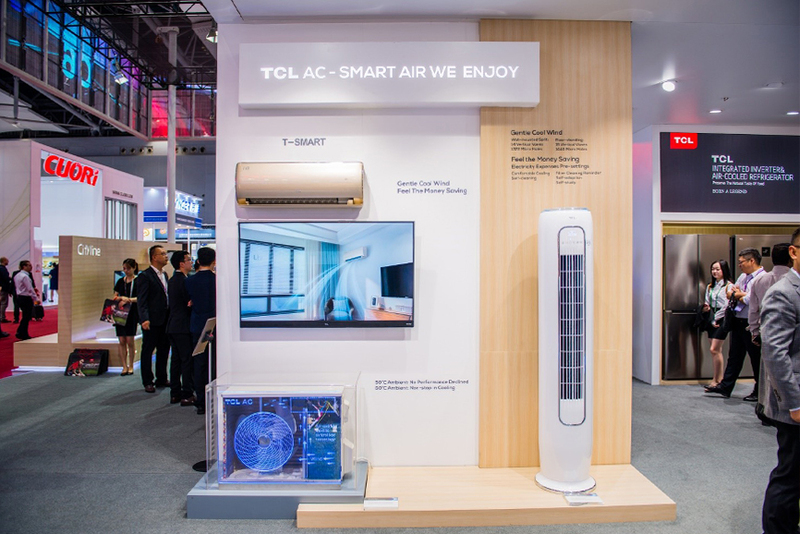 Also, in high ambient temperature, TCL air conditioner can apply the solution of patented air-cooled technology for its outdoor electrical part. Innovative air flow duct is created within the PCB, to generate air flow to cool down major parts in the PCB, which is safer, more concise and more energy-saving comparing. It can maintain strong cooling in high ambient temperature. 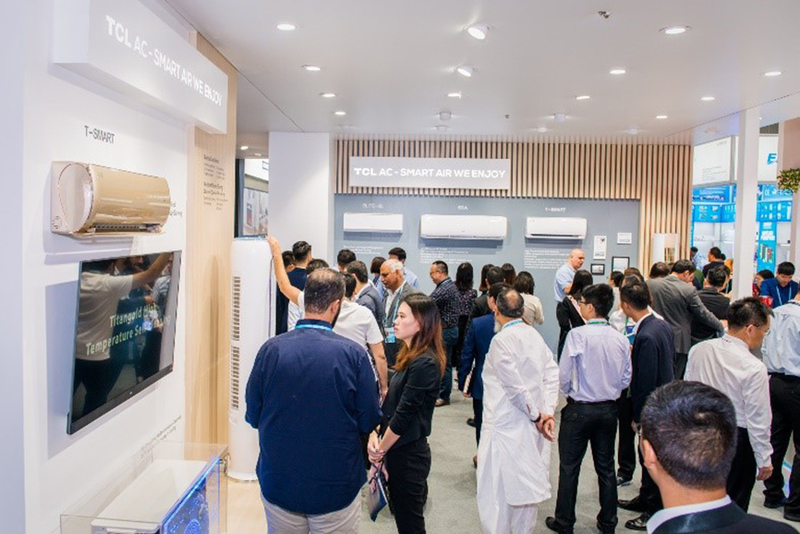 No cooling capacity decline in 50℃, and nonstop cooling in 60℃ high ambient temperature. 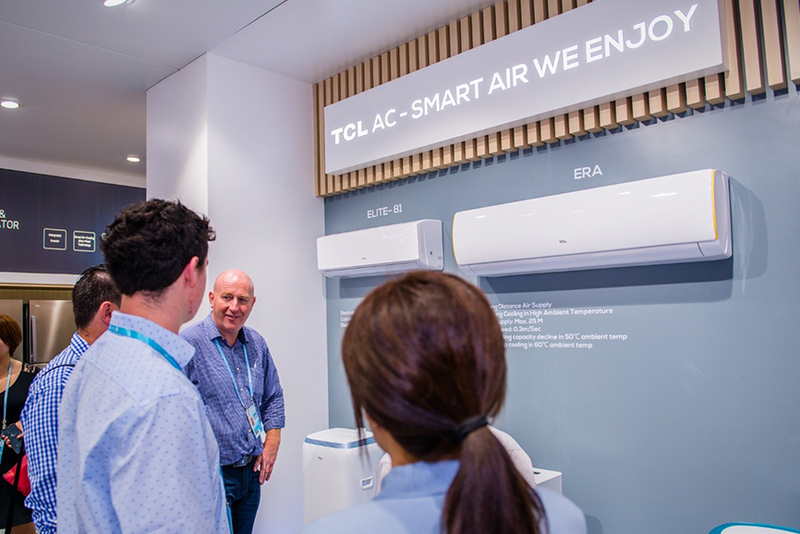 As TCL air conditioners' performance booster, it is outstanding for its high efficiency and extra low noise operation. Its unique features of 3E (Easy Assembly, Installation & Maintenance) can provide better solution to not only users, but also dealers and maintainers. Besides, it is also introduced the innovative GEN mode, in which the operating current can be limited as 3 levels – 2A/3A/4A, which on one way, can save energy while maintaining proper cooling, on the other way, suitable for area short of power supply and using a electricity generator. 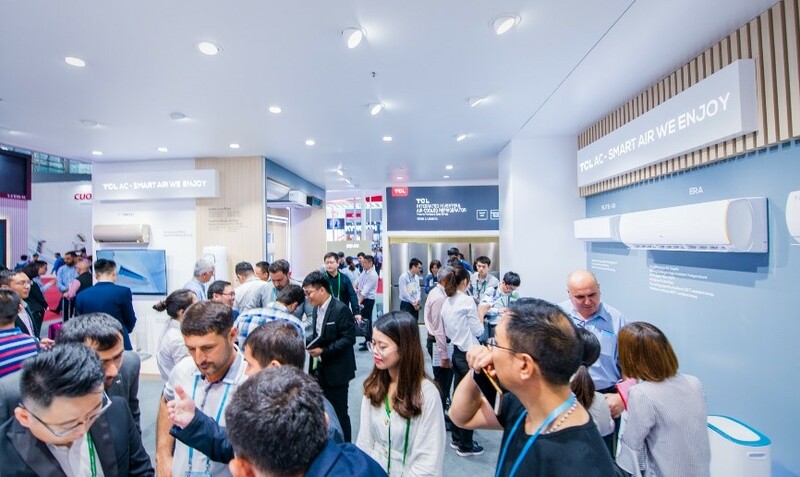 Beside its delicate features of isolated condensate flow, fireproof electric control box, etc., it can be also applied the TCL smart APP for its energy consumption management. One of its outstanding features is the ‘quota electricity’. User will be able to set how much electricity to be cost. 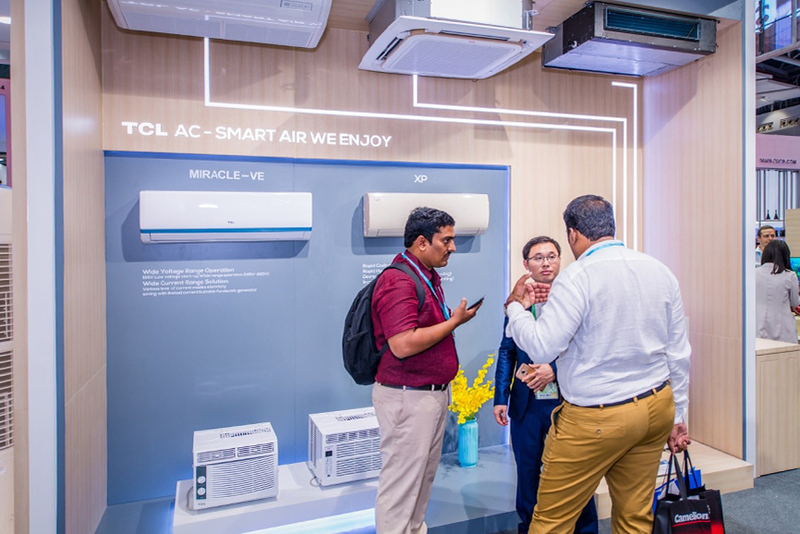 Also, under the ‘quota temperature’ mode, the air conditioner will run the set temperature at the most energy-saving way. Through the smart APP, user will be able to monitor periodical electricity consumption in a historical diagram, and feel the money saving. 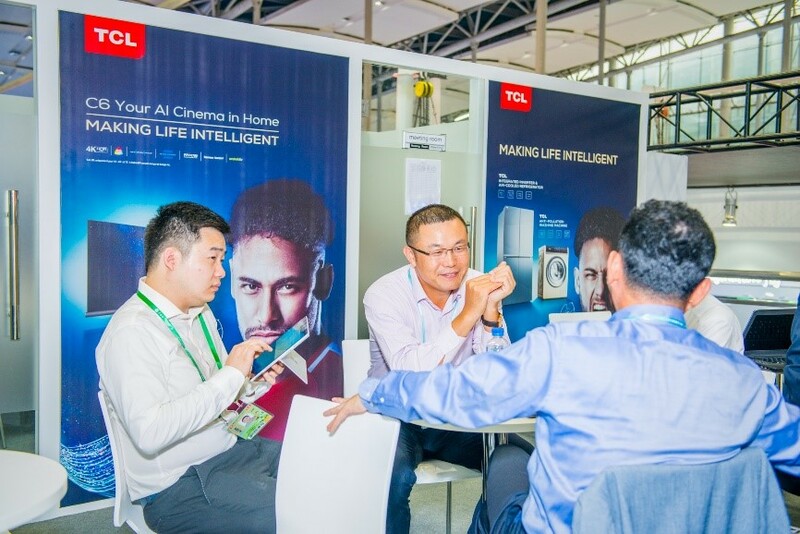 TCL inverter AC is applied the advanced AI algorithm. With its high frequency turbo starting of compressor, it can reach 18℃ in 30″ in cooling mode and 40℃ in 60″ in heating mode. 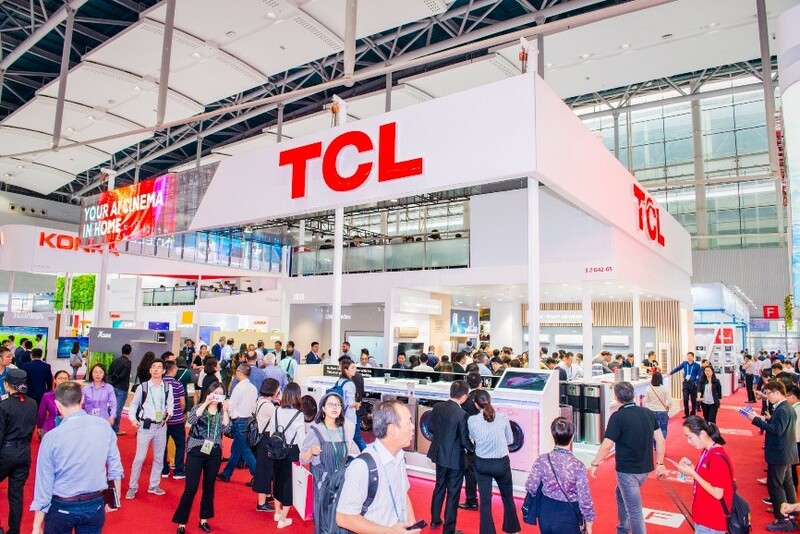 Also, TCL AC developed the high temperature self-cleaning function. Once it is activated, its AI algorithm will let the evaporator firstly to be frosted and freeze to hold the accumulated dirt on the surface. Secondly, it will start defrosting to generate large amount of condensate water and flush away all the dirt easily. On top of these, it can be dried at high temperature of 55℃, let air conditioner to be cleaner and more sterile, compared to ordinary air conditioners. 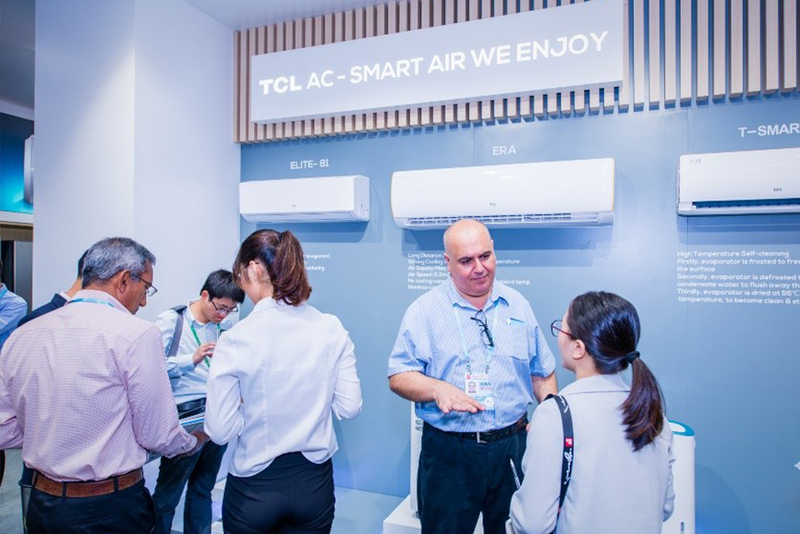 ‘Smart Air We Enjoy’, as what TCL AC promoted, the brand image of ‘Good Air Conditioner’ has been recognized by more and more customers and users. 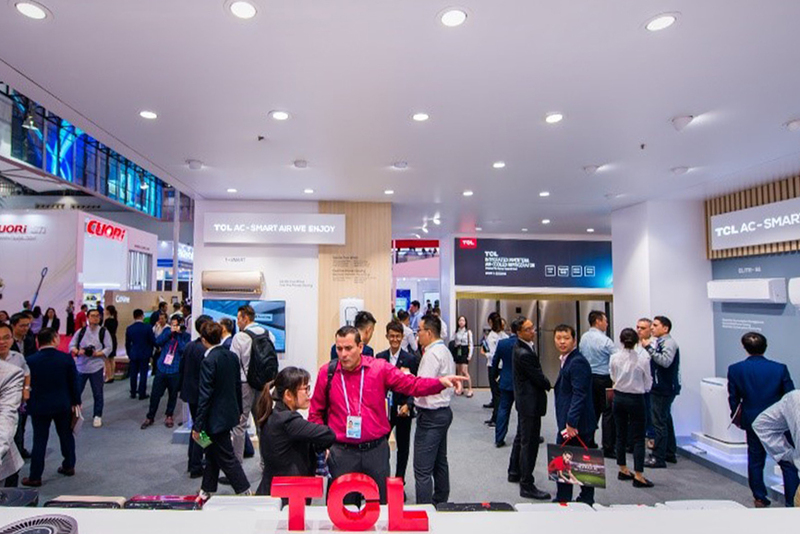 ‘Think of Air Conditioner, Then Think of TCL’, it is believed, accompanied by its ‘changes’ and highly increased competitiveness, TCL AC could surely lead to another breakthrough of global sales increase in the coming years.